Synopsis: Once upon a time, a girl had a father, a prince, a society of friends. Then they betrayed her, and she destroyed them all. WARNING: THERE ARE LIGHT SPOILERS WOVEN INTO THIS REVIEW. What that means is that I don't give exactly what happened away but I have hinted at it. Read at your own risk! Marie Lu's writing is still amazing (duh), I felt every stab and every tear. She is exceptional at giving the reader a glimmer of hope and then annihilating it. 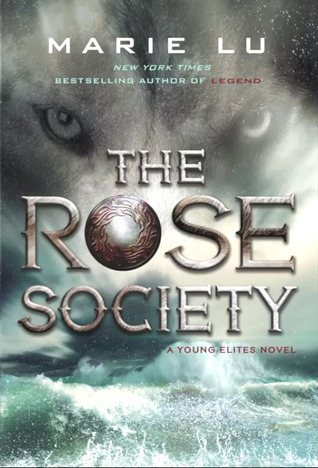 Part of me wants to pretend that I haven't read The Rose Society so I can go back to my blissful fantasy bubble I created after I read The Young Elites to ease the pain I feel from reading this book. The Young Elites will get your heart-racing, and The Rose Society will break it. 1) Marie Lu is really an amazing writer. Through every battle, mental breakdown, and heart-wrenching scene, you feel like it's you feeling those things. Even with characters that aren't likable, through her writing Marie Lu makes them sympathetic and their pain becomes your own. 2) The multi-POV is still awesome. It really pulls the whole book together. It gives the reader a grand scope of what's going on with all of the characters and gives you subtle hints of what's to come. 3) Magiano. I was surprised at how much I liked him considering he's Adelina's new love interest but he's cute and funny. He brings the light that this book needs. 4) The great world-building that started in The Young Elites is further developed in this book. The baliras sound really cool. 2) Violetta kind of got on my nerves a bit. Through The Young Elites I felt bad for her due to how much hate she received from Adelina but in this book she was a bit too self-righteous for me. I think that's how Marie Lu intended her to be though. 3) I missed the intensity I felt while reading The Young Elites in this book. While this has a lot of inner turmoil, it takes away from the heart-racing scenes. 1) "I only ask for obedience. If that is too hard, I can help. It is easier to obey without a tongue, and easier to kneel without legs." 2) "Why are powerful men so stupid around a pretty face?" 3) For a fleeting moment, I imagine that if I were queen, I could make the act of hurting malfettos a crime. I could execute this boy's pursuers with a single command. I start hurrying after them. "Come on," I urge Violetta. "Don't," she starts to tell me, even though she knows it's pointless. "I'll be nice." I smile. She raises an eyebrow at me. "Your idea of nice is different from others." I have one other quote that is probably my favorite out of all of these but it's such a huge spoiler and I don't want to do that to you guys! I hope you enjoyed this review. If you missed my review of The Young Elites be sure to check it out. I'm soo jealous of you right now!! but HELL YES to the 4.5 rating ;) super excited that you loved the book and I can't wait for it now! Can I please sign up for this crying party? I'm still heartbroken over Enzo and by the looks of it I will still be after this arghh. Dying to know your favourite quote with the huge spoiler ;P I Can't wait for this to be released now.. Fantastic Review! Aw, you're so sweet! Of course you can join this crying party! I'd say the more the merrier but this book doesn't give you a "merry" feeling haha. Your heartbreak over Enzo will only increase ten-fold with this book. I was dying not putting that quote up but it would just ruin too much! 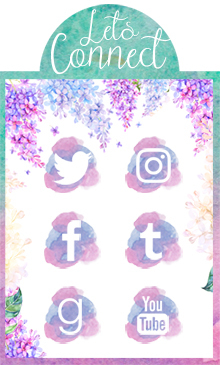 I'm new to adding GIFs to my review so it's a relief that you like it! I don't like this book as much as The Young Elites but as a whole it's really good. I think you'll be just as heartbroken as I am now when you read it though. I haven't read The Young Elites yet, or anything by Marie Lu actually :O I really need to change that soon, her writing sounds amazing and the characters seem really fun (except Violetta haha) Nice review! Before The Young Elites and The Rose Society, I read her book Legend but haven't had the time to finish that trilogy. Her writing style is pretty amazing. I think it has improved since her Legend trilogy. Although Violetta is losing her mind a bit, I still like her. I just happen to pity her more in this book than the last. I wish I had this book! It looks AMAZING. I can't wait to read it when it comes out. You lucky duck!